If you are craving tasty food at a good price on your Walt Disney World Resort Vacation then you should definitely head over to Downtown Disney to check out Earl Of Sandwich. 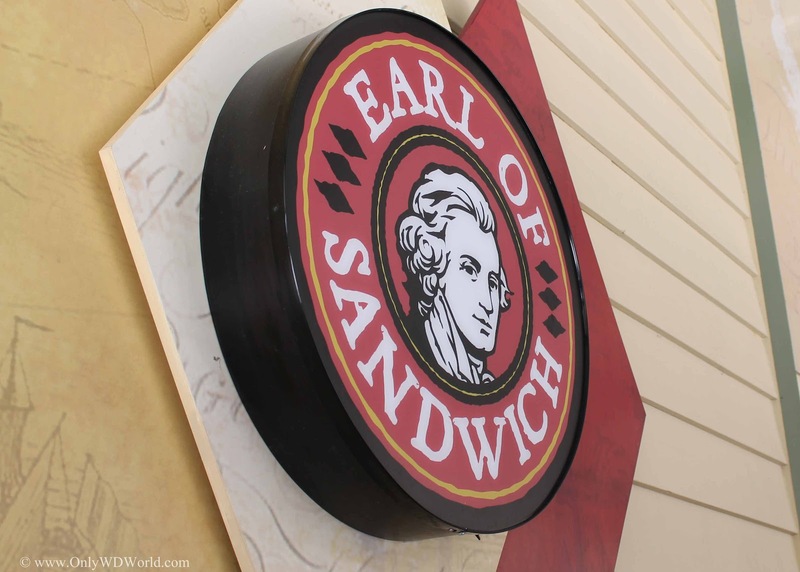 A wide variety of sandwiches and salads dominate the menu at Earl Of Sandwich. This quick service eatery located in the Marketplace section of Downtown Disney may be the most economical place to eat in all of Disney World. 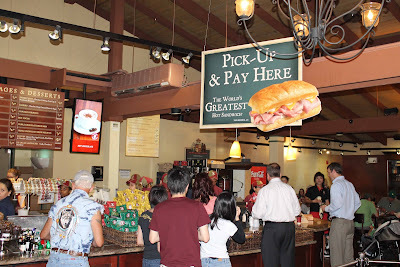 It is definitely the place to keep to your Food Budget and still enjoy your meal. Once inside you can choose from the giant menu board. Don't be discouraged by long lines, as they move really fast. If your order is not ready by the time you get to the Pay Station you will receive a beeper to let you know when your food is ready. Don't worry it won't take long to try some of the great food made here. 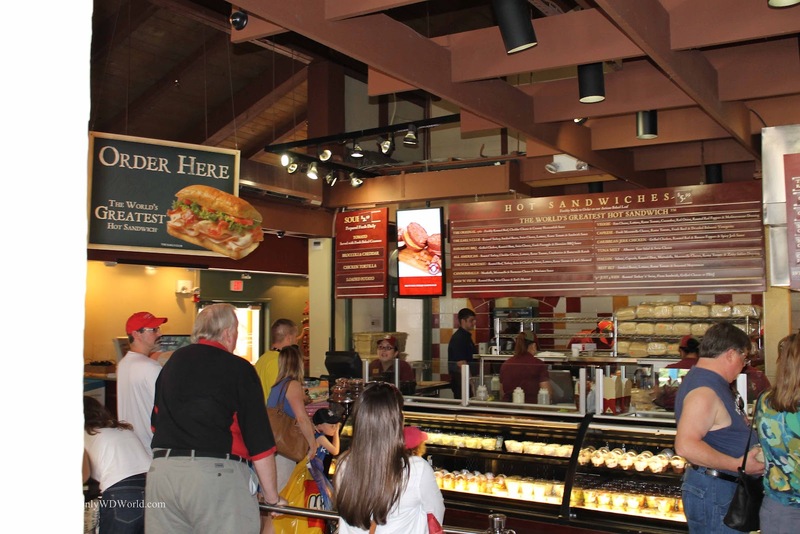 Whether you choose a salad or one of their 14 signature sandwiches you can't go wrong. A personal favorite is called The Original 1762. 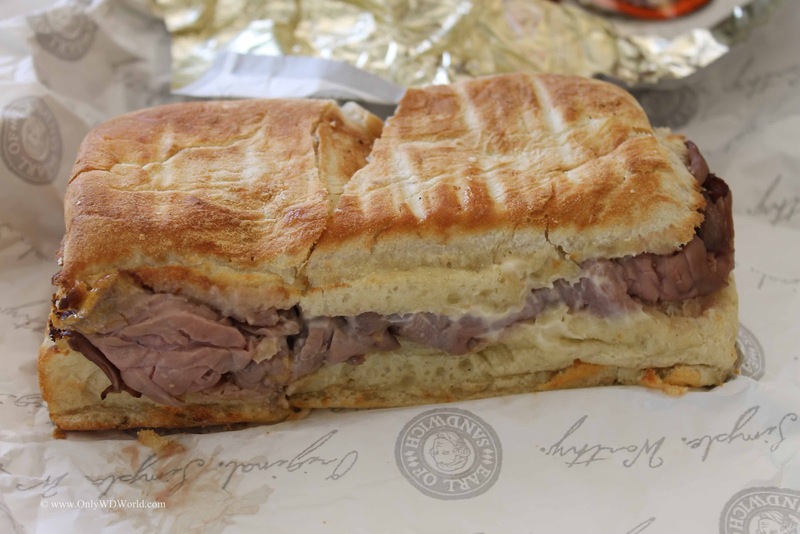 It is a tremendous Roast Beef Sandwich with Roast Beef, Sharp Cheddar, and Creamy Horseradish Sauce served hot on great tasting bread. 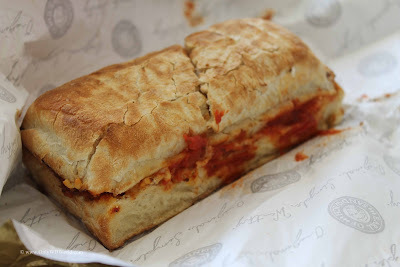 Also pictured above is the Cannonballs sandwich which contains meatballs, mozzarella cheese, and marinara sauce. 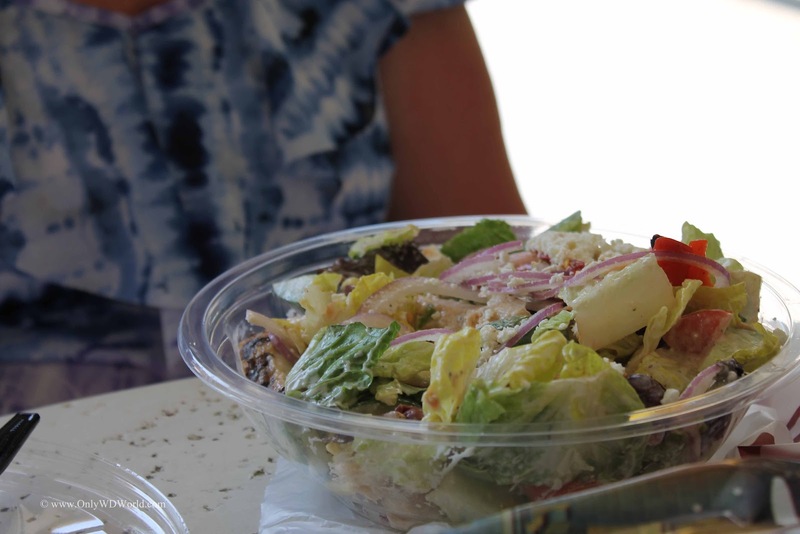 Salad lovers may enjoy a choice of 5 different salads served in a bowl or as a wrap if you prefer. Choices include: Mediterranean, Chinese Chicken Salad, Caprese Salad, The Earl's Cobb, & Chicken Caesar Salad. The Earl Of Sandwich not only serves great food, but it comes at a reasonable price. 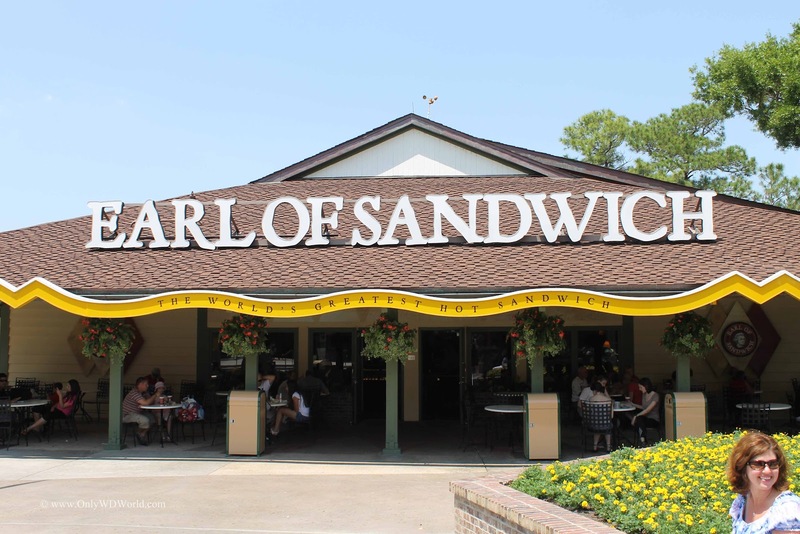 Any of the 14 different sandwiches on their menu were just $5.99 each. The portion sizes are also plenty to satisfy hungry travelers. Soft drinks are served at a refillable self serve station you are also able to quench your thirst. You may not find the theming that you get at most Disney World Restaurants, but the food and value definitely make this place worth a stop during your next Disney World Vacation. 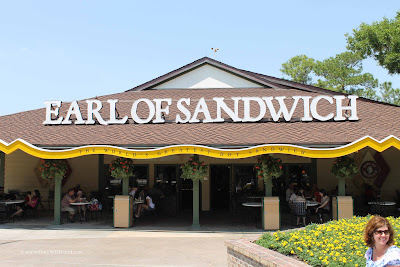 0 comments to "Disney World Dining: Earl Of Sandwich"